After a busy old morning with work-work, I got to enjoy my afternoon! I tidied the studio a tad (not toooo much) and Susan and her daughter Pip came over for what felt like a reunion of the books. They had parted ways last Monday and today they got to see each other in all their finery. It was lovely to bring them together again; to pore over what had happened since we last saw them and to discover what we had each decided to do with those last little bits that teased us with options. 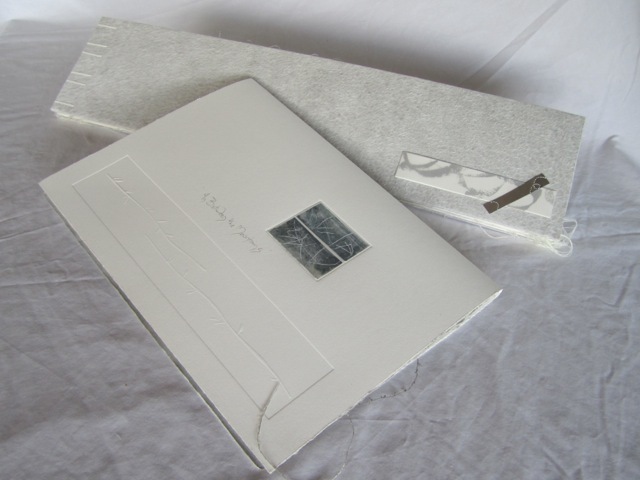 You can see I worked with Susan's brilliant insight re the pebble and attached it to the back cover, then cut out holes in each of the pages so that it nestled in place. I played with white pebbles, but settled on grey for strength. The use of a pebble also seems to match my other pebble scrabble and pebble wrapping thing that is going on, so it felt right. 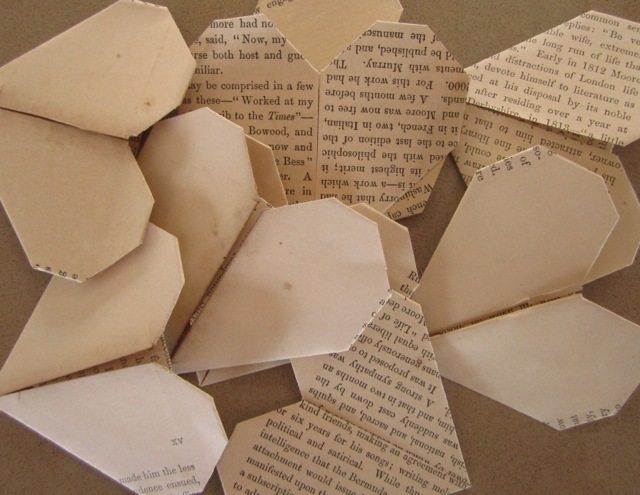 It was a bit scary making the cuts into the pages after they were otherwise finished tho. Our two covers. Susan has called her book "In Between the Mountains" and mine is called "Seeking Solitude". Both seem to match the work nicely. 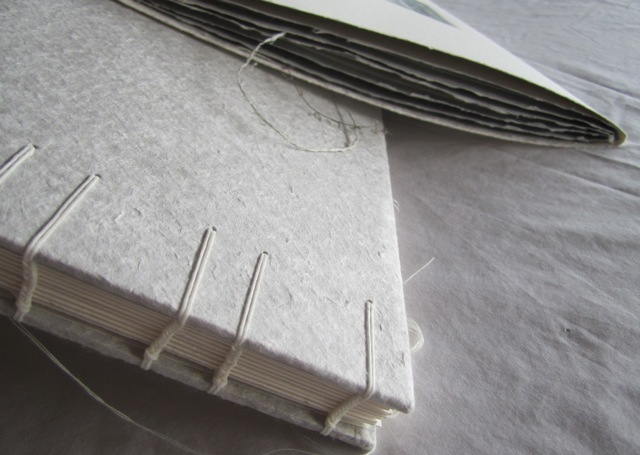 We both got a bit infatuated with the edges and the paper and the threads. I love the way the random threads play - they fill me with happiness. Tonally, its amazing to see how sympathetic the books are with each other. Each of them holds the mark of the other, but is clearly the work of the owner as well. It was a lovely way to work and to create something of beauty, together. Thank you Susan. And to finish...more threads! I will talk more about my own book tomorrow maybe, and let you see how it panned out. We celebrated with a glass of French Champagne - Pip, Barry, Susan and I sitting on the deck with the valley and mountains below. Life is good. It's amazing how this book has filled my thoughts and my time in the past few days. I am enjoying the process so much, learning so much and recognising things about myself that are helpful as a maker. 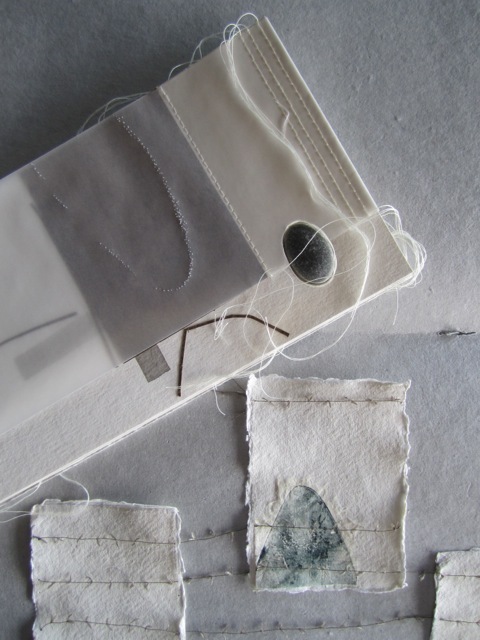 I am making notes about the book and the practicalities of its process; but also about the things I am discovering about myself, and the things I am learning about a collaborative and shared experience like this. 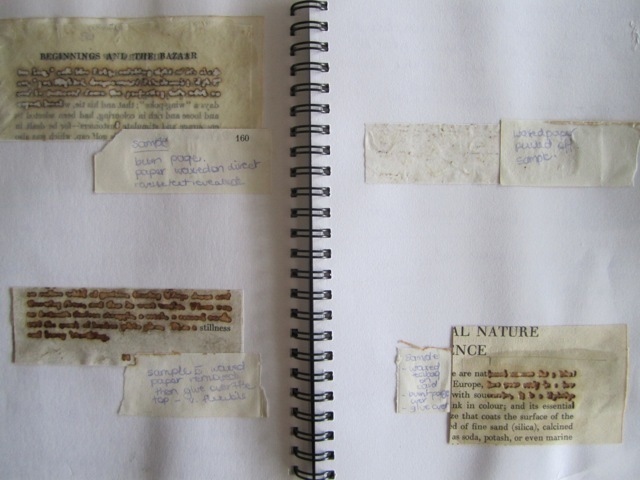 Susan left me with some lovely pages and I began to work out how to make the book mine again, how I wanted the words to read, how many pages I needed for words and how to make the shape of the imagery on the pages work with the words. I have loved the many conscious decisions in this book - it hasn't led me totally, we have been in conversation the whole time I have been directing traffic as much as it has been telling me where to next. That last sentence makes sense to other arty folk I think - for others, it sounds like its time I talked to my doctor. 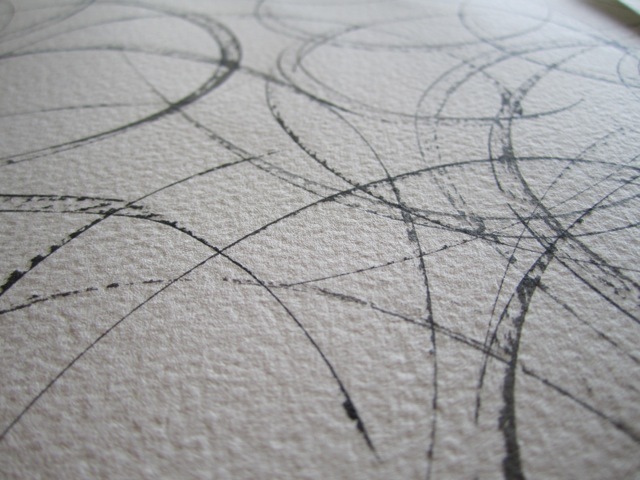 Here are some of the calligraphic pen marks I began to make. They are large letters and I always love the bleed-out look. 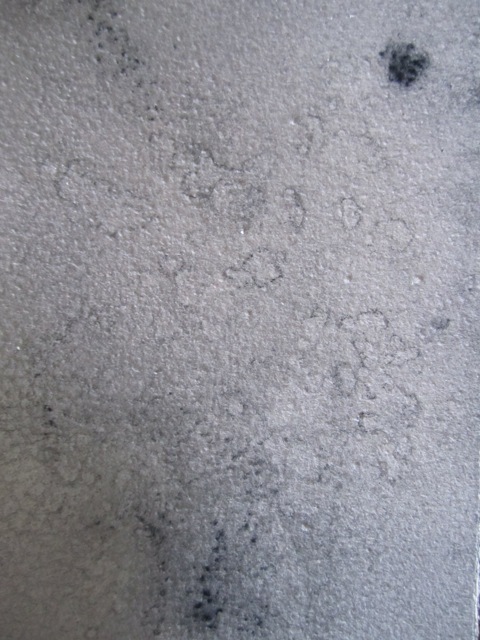 They are swirly where my first marks were straight. 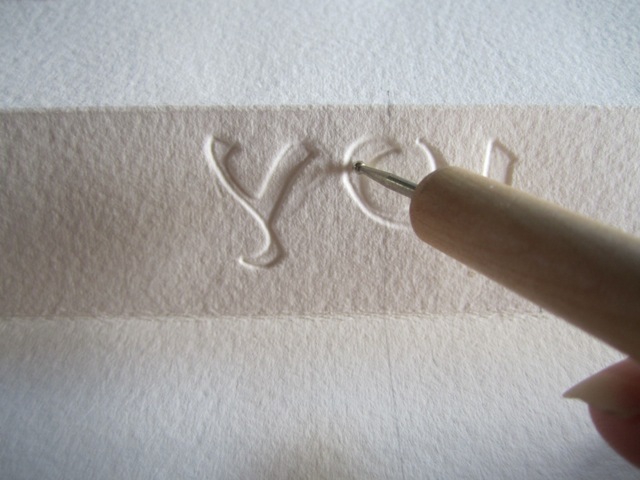 They are on rough paper - the first paper (Hannemuhle bamboo) is beautifully smooth. The pages as I begin to add to them and layer things. Not all of these items remain in the final pages that is for sure. I also wrote out the words I wanted to include and had them alongside the pages - marked for words that were quiet; and words that had movement. 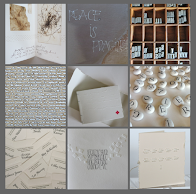 I wanted to match the sense of the words to the stillness or movement Susan had created on the page. 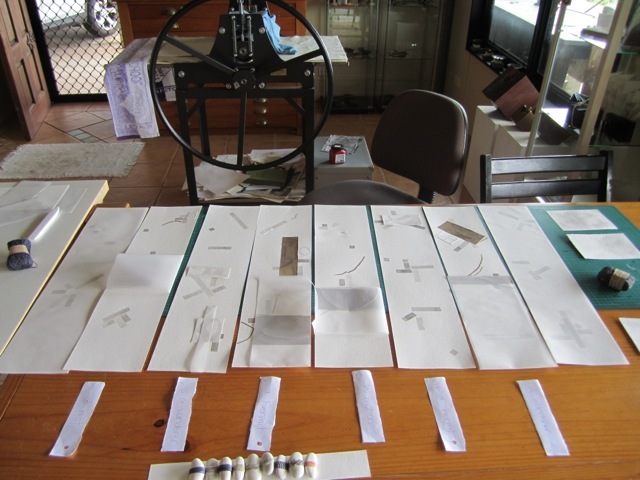 I also wondered about some of my Habu threads - evidence by two bundles sitting there patiently. 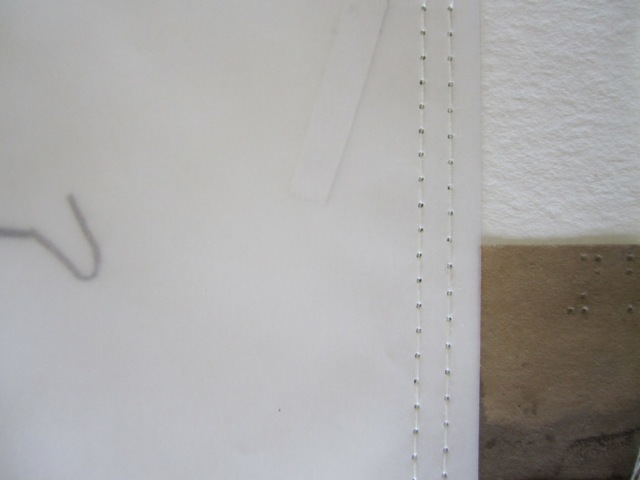 Here are some stitches I made to attach some of the tracing paper to two of the pages. 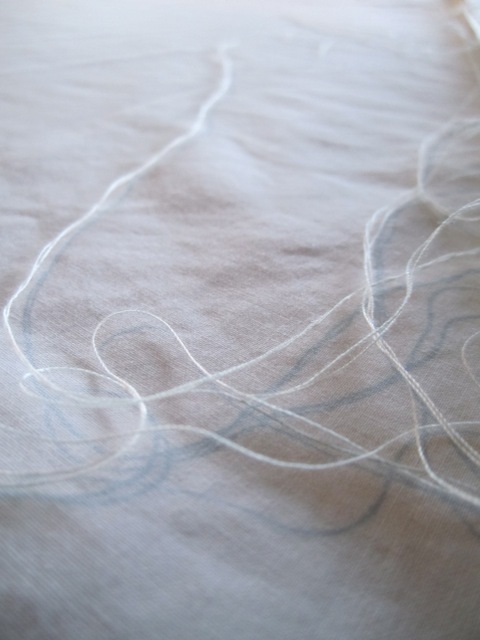 I didn't choose these stitches lightly - I tested a cross stitch in each corner corner; I tested french knots to anchor the tracing paper, but ended up applying these simple marks. Probably influenced by Alice. 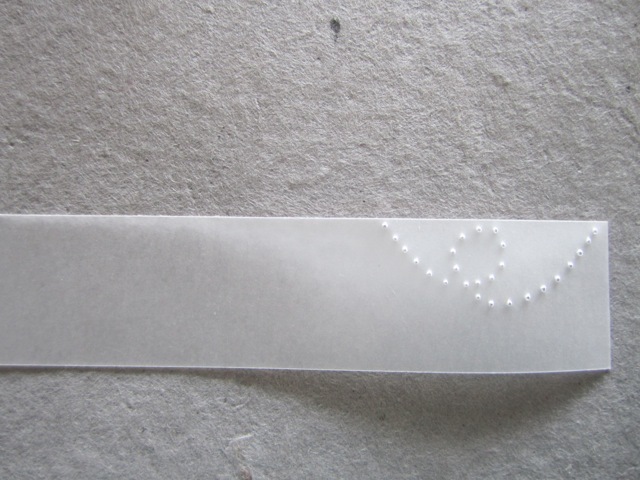 Having spent so much time machine stitching pages and tracing paper for my BAO edition I am still in the groove, and went on to machine stitch the tracing paper that Susan had introduced and a few pieces I had added into place. I stitched once, then took the pages back today and stitched even more. 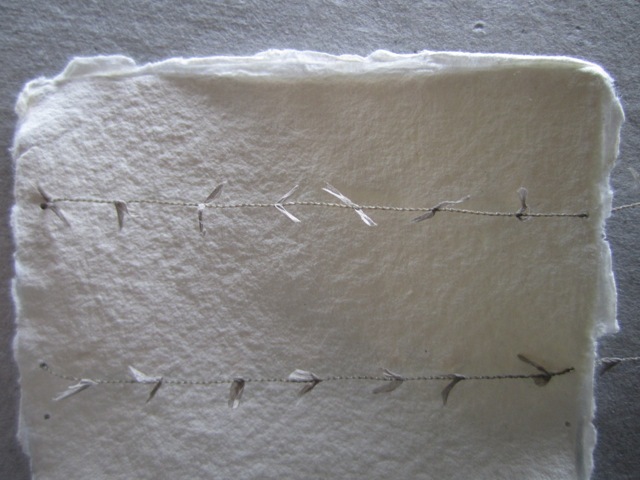 Here are the remains of my hand-stitched corners stitching when I realised after machine stitching the rest of the pages that I couldn't explain these lovely little hand stitches. 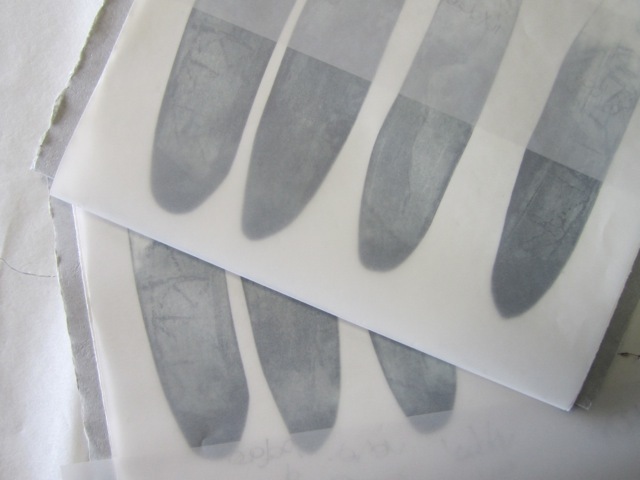 The joys of the process (I had even glued them in place so that they would lie still on the back!). 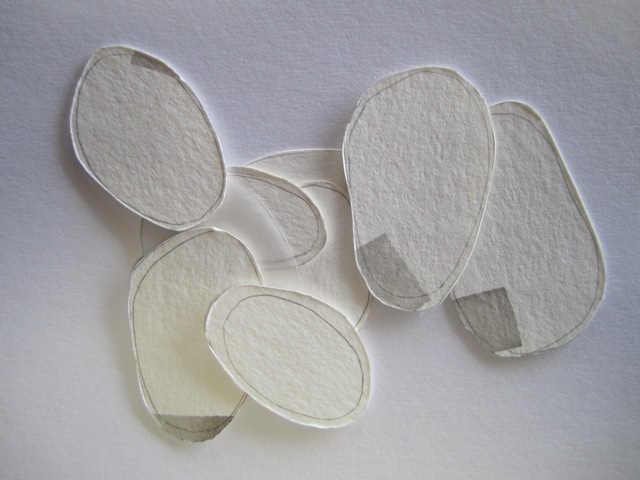 I played with pebbles and pebbles cut-outs, after Susan saw the pages on Friday with a pebble weighing down a corner of tracing paper and we talked about how it echoed some rock shapes she had introduced in the drawings. It was doing a job - of course I only had pebbles to hand, but it could also become a design element... how someone else's eyes can see beyond the mundane and functional! I am edging closer and hope to meet the Monday deadline despite lots of other family things to do today and tomorrow. Susan and I plan to catch up on Monday afternoon (after I go to another town for work-work; how dare it intrude?!?) and bring the two books together for a photo shoot! I think we are both already planning "what Susan and Fiona do next" which I hope will be half as much fun. This quote just made me smile as I imagined a group of children sitting on the floor of the library, cross-legged, faces shining, imaginations racing. How exciting to discover it wasn't really a library, but a spaceship! Libraries are sometimes thought of as repositories or cold storage in a way; yet the idea of them being a time machine is so much better - it sparks the imagination that books can take you back in time and in history to see and discover what people were thinking, wearing and doing. Into the future we can explore possibilities and imagine a world so different from our own. How amazing that a library could morph into a teacher and a friend as well. I am still the number 1 fan of public libraries and all that they offer and hope that many more children get in to the time machine and travel with books to far-flung places and arrive home exhausted and exhilarated. I love that Isaac Asimov wanted children to understand that books and libraries can amuse and console; and be a gateway to a good life. Still true today. The closest image I had to a space ship - time machine; a vehicle for the contemporary urban crusader! Whilst researching information about Book Towns recently, I discovered that UNESCO had determined that 23 April was World Book Day. I mentioned this casually to Susan one day when we were checking dates for a meeting, and said "we should do something". So we booked it in and only started to think about it again last week. We decided we would try to make a book or work on a book on the day, and gradually our approach emerged. We would each work on some pages, the beginning of the book, bring them along to to have the other work into them a bit and then have them returned to us to complete. This ended up being a lovely approach. 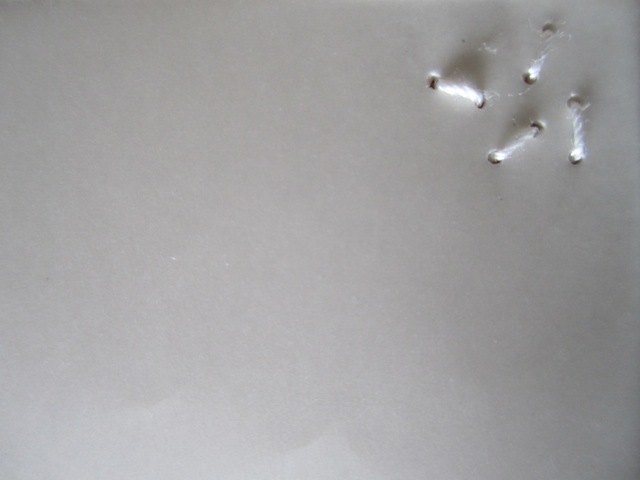 It meant we were providing some inspiration and a sense of guidance to the other, but it also meant that they would truly leave their mark on our book. By being able to take it home and complete it, by adding and subtracting elements, it also meant that we would truly feel like we 'owned' the book. 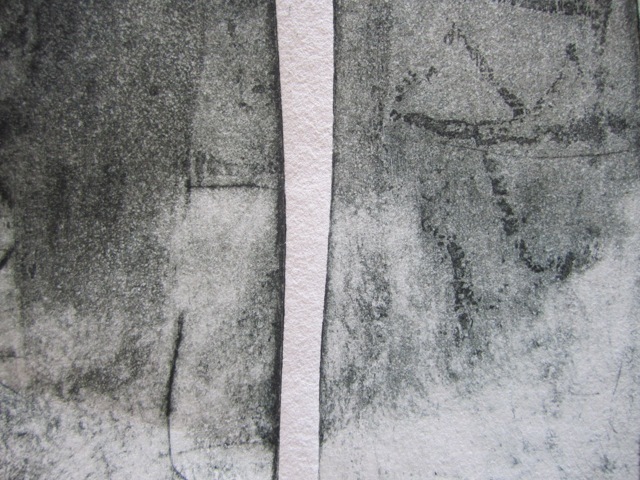 It was funny to discover that Susan shared the sheer panic I had the night before - too scared to touch each other's work and not ruin it, but we overcame that as we sat together in the studio. 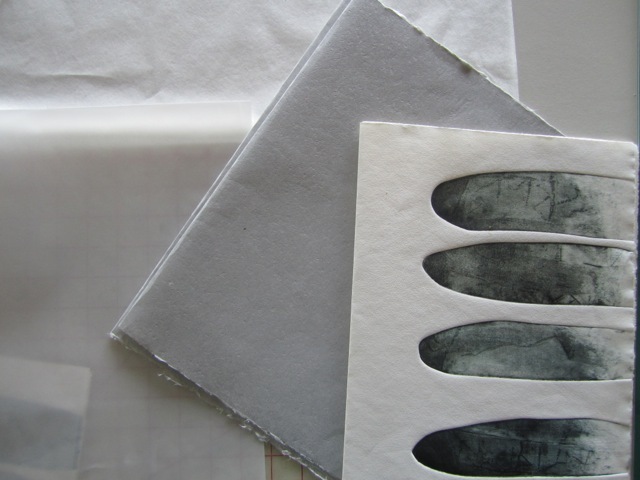 Susan's beautiful etchings, some delicious get paper and warm white paper and tracing paper, that she asked me to work with. 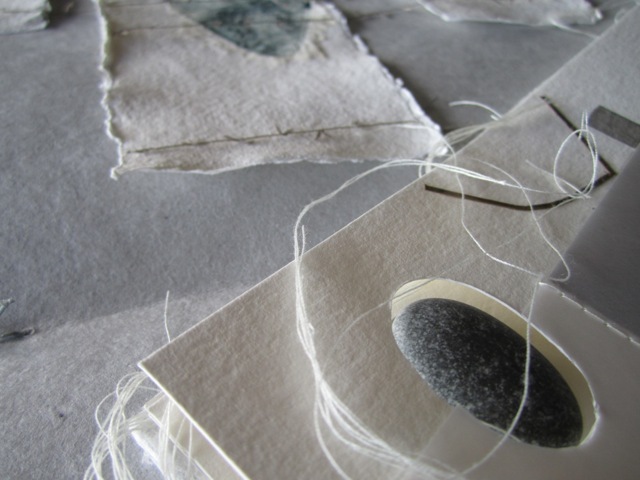 The day unfolded gently, as we sat and stared at the work and what we were asked to work with. Wondering if this would add; would that? What could I bring; how could I link? 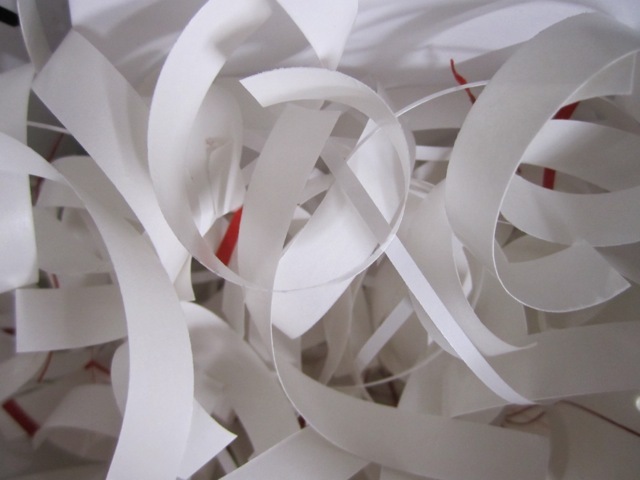 We made design decisions, only to toss them out; we chose materials and then figured no; that wasn't right. 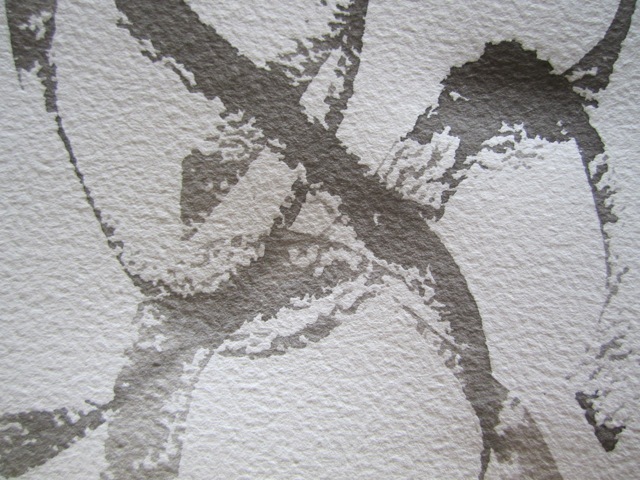 I wondered if bleed-out lines of ink would complement the etchings? 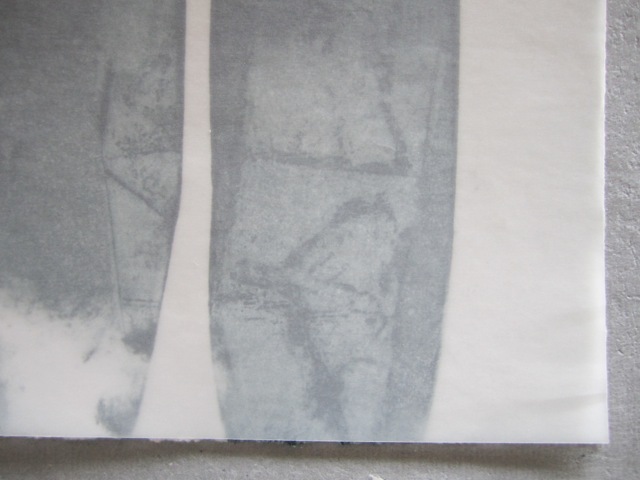 I knew I couldn't work the etching pages themselves; but maybe the tracing paper that sat over them? We worked in silence pretty much - but stopped and discussed how the process was unfolding. 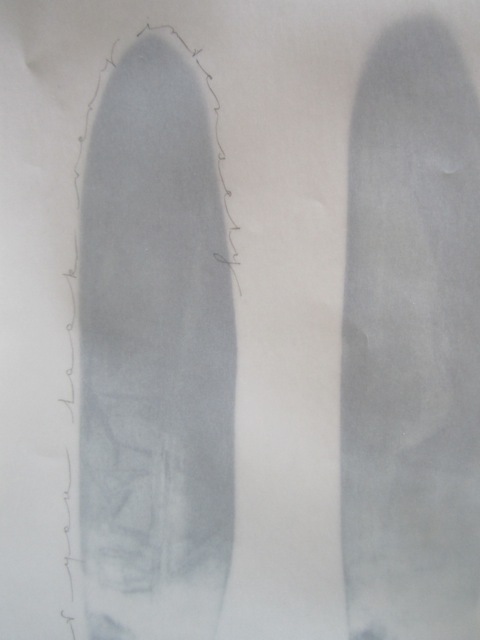 First off we were not totally surprised to see we were working with similar materials; that Susan had brought tracing paper to work and so had I. 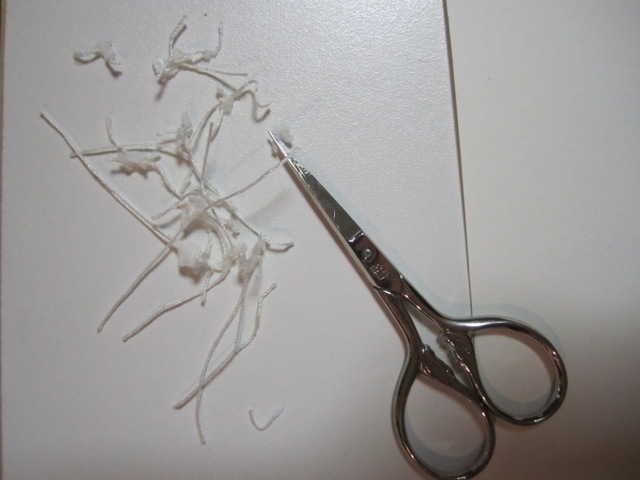 That I had collected some nice scraps of khadi paper to add - Susan had brought some with her as well. New guides appeared as we worked - that we were both free to add what we wanted, order the pages as we wanted, choose how many to work with; suggest finished formats to each other. We each had lovely moments where we went " oh I'll go this far, but leave it to her to take it where she wants...". Permission was given for each of us to ignore something the other had done - work over it or around it when the pages were returned. We also worried at different times that our work was too much 'ours' that it wouldn't look like 'theirs'. Which as we discussed, was the whole point - we wanted to be able to see each other in the work; I wasn't trying to 'be' Susan on her pages and she wasn't trying to 'be' me. But, we also held the other and their work and style at the front of our minds, and didn't do anything that would overwhelm or work against it. We also ended up giving ourselves a bit of a timeframe for completion. We didn't want to turn it into a pressured issue for us and make the magic go away; but we didn't want to leave it so long the energy of the day drifted out. So next Monday we shall have completed them. I can't begin to say how much I enjoyed the day. It was a totally new experience for me - to work alongside with somebody, trying to honour their work and yours, creating things of beauty. Both of us teach, but we weren't teaching. Both of us are students, but we weren't in class. It was a unique and special way to be that left my mind absorbed by it all, playing long after we had packed up for the day, trying this and that, dealing with the new challenge of responding to Susan's work and finishing my book.. The serendipity of the world that finds us living near each other is a special bit of magic and it's been wonderful to discover that we work well together. Hopefully we will be able to do it again, here and there, now and then. 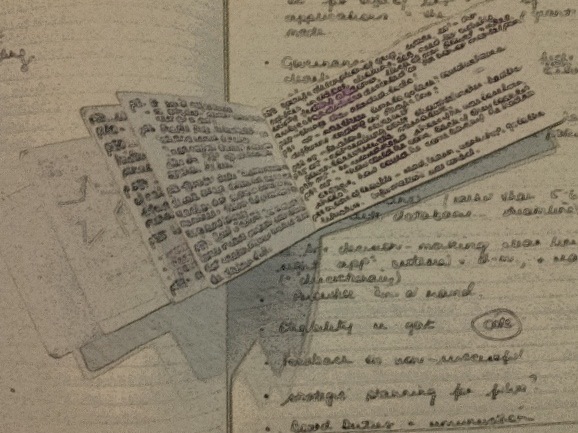 I wrote a while back about how disorganised my notes about pieces of my art are; how I scribble on scraps and roughly sketch out ideas in a weird hieroglyphic kind of way, and never seem to have the right notebook in the right place at the right time. Interestingly that post got me thinking that there must be some way I could get it together a bit better. I came up with two ideas that I thought I might have been capable of doing/achieving. The first was to commit to sticking some of those scraps into my notebook, so that they all end up in the same place at some point in time. Secondly I decided that I would try to carry my notebook with me between the house and the studio. That way I would always have it with me when I was in the places where I usually make notes or have ideas. As I read that again, I think - well both those things are obvious; but you know, up until I really thought about it, they weren't! I accepted that I would always have my other little notebooks with me in my bag so I could capture ideas in them if I was on a plane or a train or waiting at the shops. If I was smart, I could then copy those ideas and past them into my notebook. So the challenge was set and I found myself actually doing it! I would sketch notes in my bag-book and then photocopy them and paste them into the notebook. 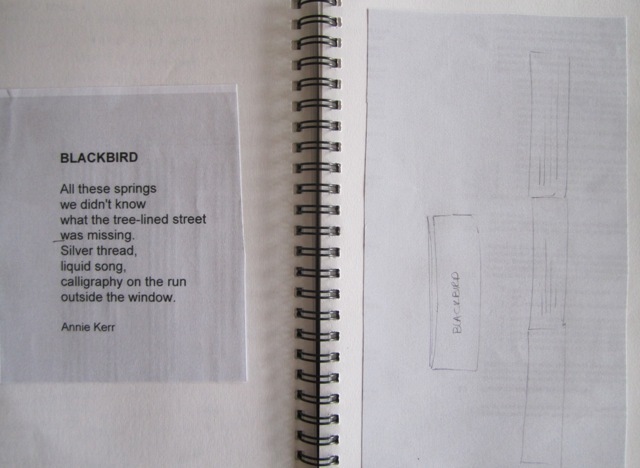 This is what I did here (above) with Annie's poem Blackbird. I would carry the notebook back and forth and usually end up with it with me; not 'over there', when I needed to grab it. Here are some ideas for 'a subversive stitch'. I even kept most of the pages for notes for this book together, by leaving a few blank pages before I started jotting ideas about something else. Totally organised! 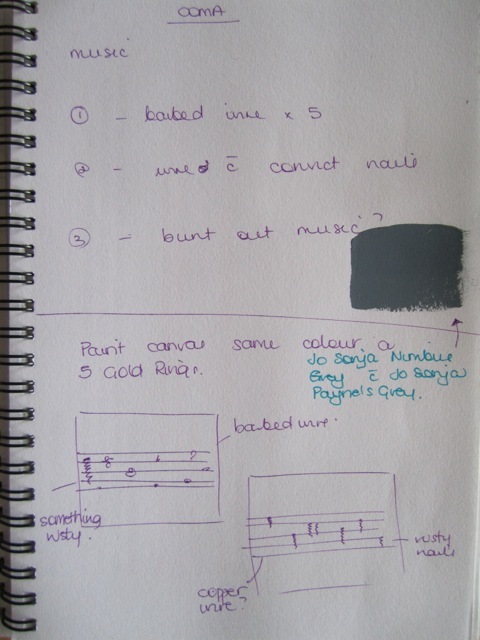 I also stuck in 'notes to self' about a process to remind myself what I did or what worked well. 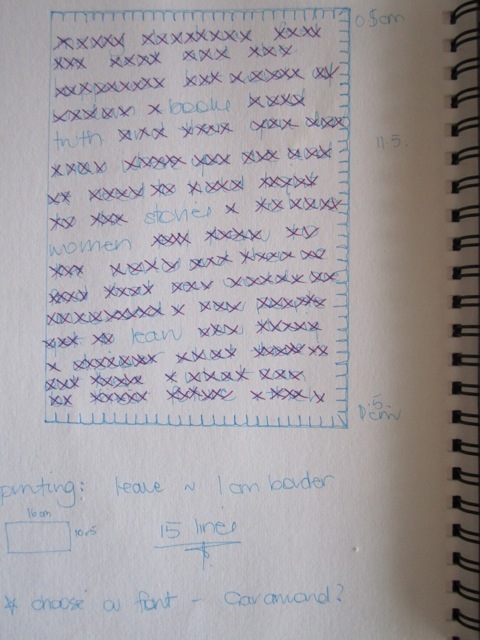 I have managed to capture all of the measurements and materials I have been using for different pieces and my commissions, in case I have to repeat them. Like here there are ideas about the latest COMA piece, notes about the colour, a swatch of the colour and some scribbled designs. I was really pleased this little piece sold over Easter. I'm not sure how long it will last, but it's been a blast so far and I am feeling quite chuffed! The rest of the studio is still a chaotic mess; but then who wants a pristine studio? For me this is one of this little gems that describes something you know about but may never have fastened onto. I have several friends for whom this sentiment holds true. When you are with them, you know they are with you. Which might sound weird, but in this manic world of multitasking and electronic interruptions, distractions and temptations, stopping and simply being with another person can be a rare and magical experience. Giving somebody your full attention, is about being totally present with and for them. It is a gift we often worry we don't have time to give; yet the gift is time. It's not expensive and it's not beyond our reach. We can all do it, but sometimes I think we have forgotten how. Like we might be talking on the phone as well as scanning a website or checking for emails. Or sitting at dinner and checking our phones! I really try not to do these things - but you often see couples at dinner with them both totally 'absent' checking phones, messaging, texting, or I don't know what. Like being with a person is clearly not enough - we need to be achieving six things in these 20 minutes not the one. To be present for another human being - to listen, to look them in the eye, answer responsively and not just "ah huh, mmmm, yeah". What a gift. When I am with a person who is with me - I feel like the most important person in the world, for them, for now. I hope I can give that gift back. 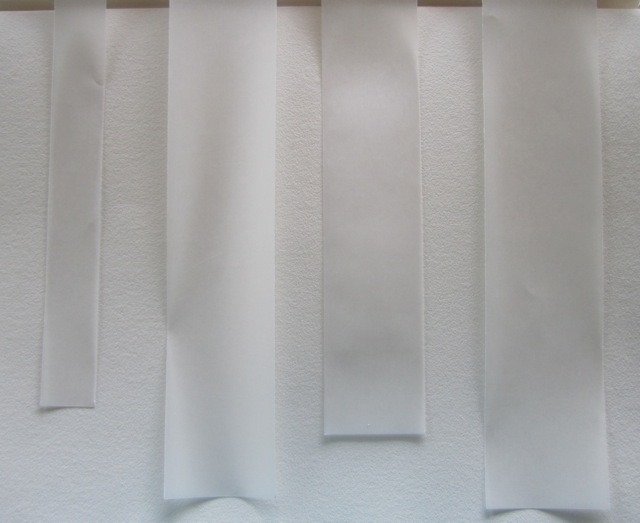 I realise this is possibly amongst the most boring blog post subject on earth; but it is one I have been grappling with of late and one which I think really matters to me as an artist. In order to tell the story of who I am and what I do, I need to find ways to write the words about it, to go deep and ask myself some questions and to try and decide what the essence of what I do really is. Clearly from that haphazard description, I am still struggling to sort this out! I recently tried to commit to updating my blog bits and my website bits more frequently. I seem to be quite regular at posting, but those pages at the top of the blog and my website in particular, often end up out of date and of not much use or value to people. So with this little commitment in mind, I thought OK, I should review and refresh my artist statement. That sounded like a single dot point on the daily to-do list; which I could knock off before lunch. Days and weeks later it still hangs there, which is weird. My main source of guidance and support for the writing of such a statement is Alyson B. Stanfield of Art Biz Coach fame. I re-read her book (I'd rather be in the studio) and searched her blog and came across ideas and places to begin and I thought I had all the tools I would need. Instead I went round in circles for a bit. I answered the questions she posed, I did some (not all) of the exercises and I wrote some words which I think I am almost happy with. Maybe accepting of, rather than happy would say it best. 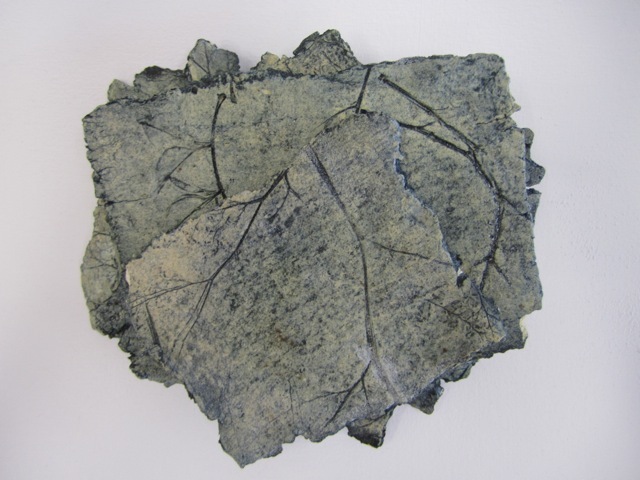 I am drawn to quietness, stillness, and simplicity and from here, I explore themes of journeys and place; peace and contemplation; and re-using and honouring things that are old and worn. Books, paper, words, language and marks inspire me and comfort me and are ever-present in my work. I might use all sorts of materials, but these talismans are there throughout. 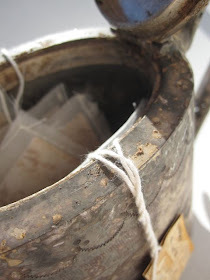 Over on her blog Jennifer has posted about staring at stacks of teabags that lurk around in her studio - wondering if and when they will ever get used. She asked the question if other folk had stacks that were sitting there waiting for them to do something with. I have been bustling along with a few commissions and BAO editions so have been quite focused for a while now, moving from this to that and onto the next thing, so I hadn't given much thought to the stacks-in-waiting in the studio. As I did, I realised (just like my last Th Th post suggested) that these stacks had been sitting there for so long, they had almost become invisible and they had definitely stopped their quiet whispering to me, the encouragement to think about them and make something with them. I re-discovered the following stacks, each of which I had been totally excited by at the beginning. 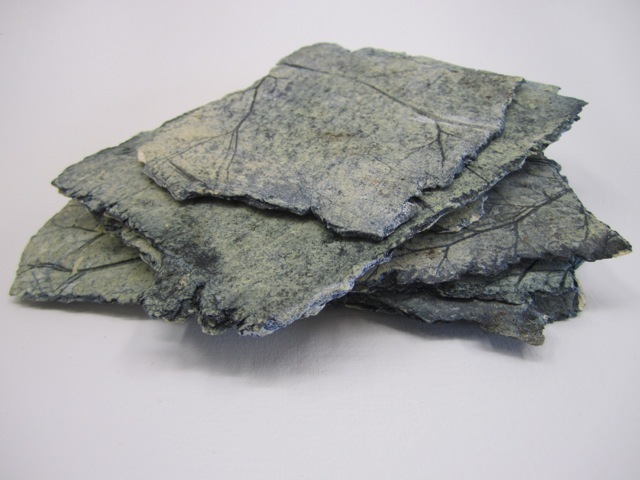 Firstly a stack of hand-made paper clay tiles by our friend Ken Munsie. He had these as an outdoor exhibition piece in June 2010 and I loved them. He kindly gifted me some when the show was over and I had plans for putting them places, and making things with them. Sadly, not yet. The second stack that came to mind was this fabulous stack of prepared pages - aching for words or images or something in order to become a book. 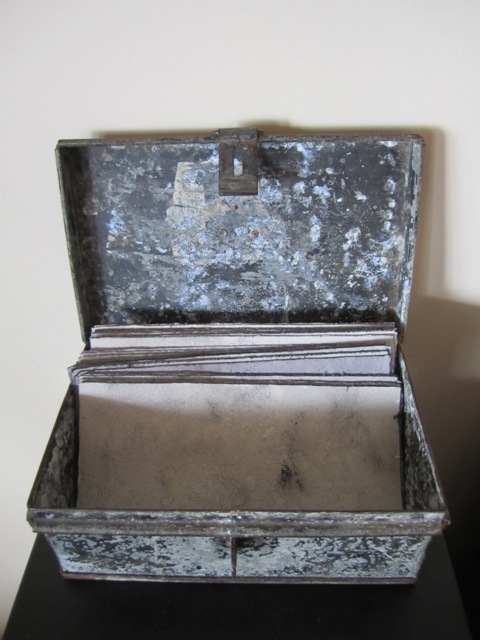 I was most excited by the process and the results way back here...Part of the trick I think is that they sit in this fabulous old worn and decaying tin box and I think they are just beautiful as they are. But no, I shall act! 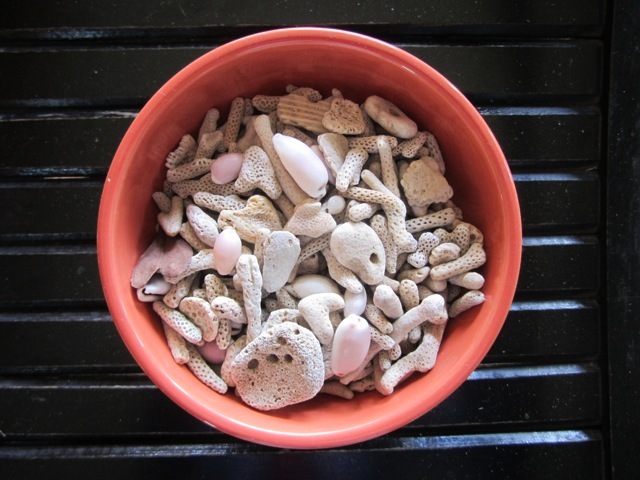 My third stack was this bowl of coral that I found when we stayed at Alyangula about this time last year. 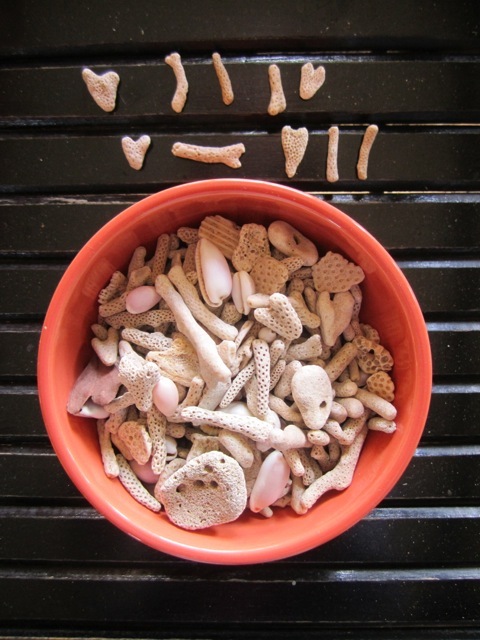 I had been missing my muse and these pieces and this beach just sang to me and filled my heart. 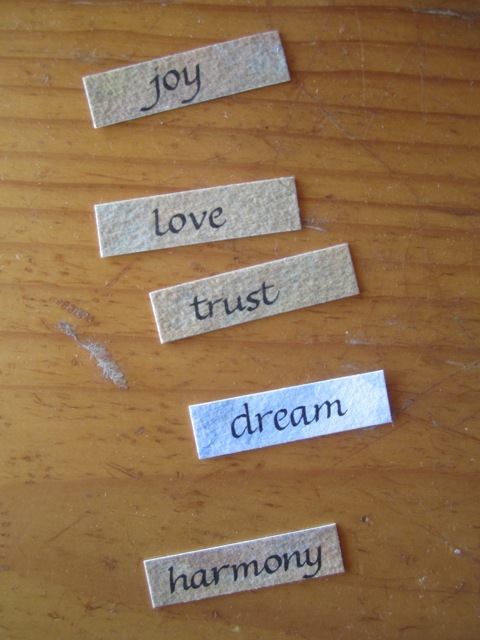 I saw language and hearts, and messages and glyphs...and I haven't yet acted upon that gift. 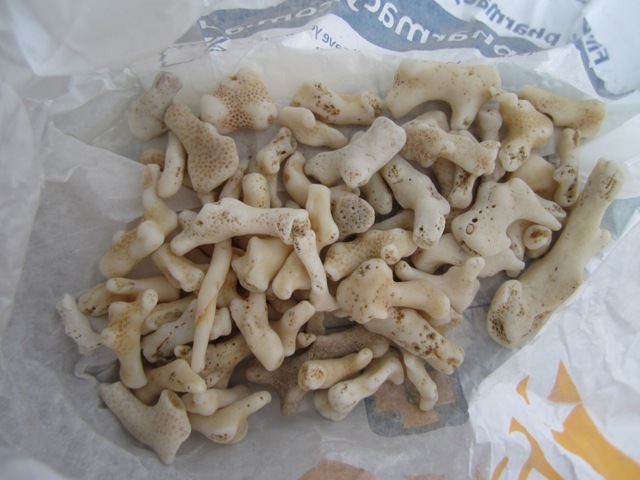 Lastly, some of the 'bone' coral from the same trip - still in the paper bag it came home in! Thanks Jennifer for making my eyes open wide again as I looked around the studio and reminded myself of these pieces-in-waiting, these yet-to-be artworks. I am enthused again to explore their potential. As Jennifer asked - do other folk have stacks like this waiting to become something? I think it can be true that what we are familiar with we cease to see. I think it is likely and or probable that this occurs and that we have to be quite purposeful or mindful about paying attention, renewing our sight and seeing again those things that are around us. Stopping, pausing and marvelling. Seeing the extraordinary in the ordinary. For all of us we can take things for granted, no longer see them as the individual or unique thing or place that they are. We are often overloaded with information and things to pay attention to, so we sometimes close down the attention-paying part of our brain to those things where we think - we know what that is, or we know what that looks like, or we understand that. 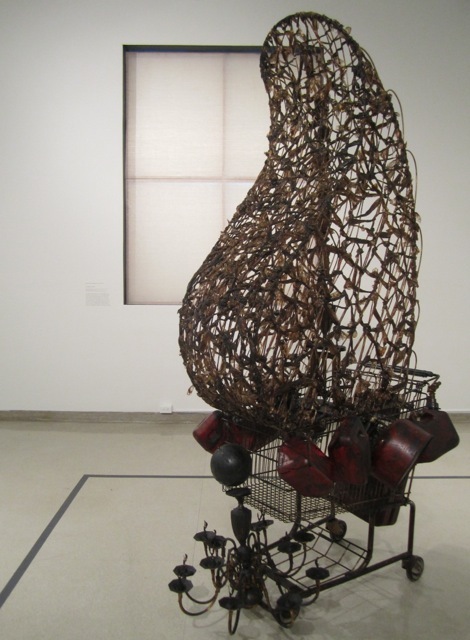 Art offers new ways of seeing; of shaking us up, of offering differing approaches to how things or the world is viewed or experienced. 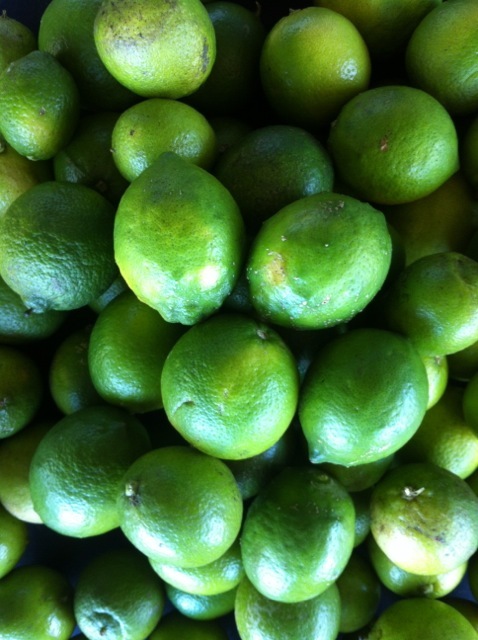 Sometimes its as simple as photographing a familiar object; but only a detail or portion of it. Sometimes its about showing how dark or difficult something is or how bright and beautiful it can be. Art can shake our world. It can open doors into others' experiences and shape how we see things. Help us see things anew, and make sure that we never look at something in quite the same way. Its wonderful to be shaken up and stirred like that! 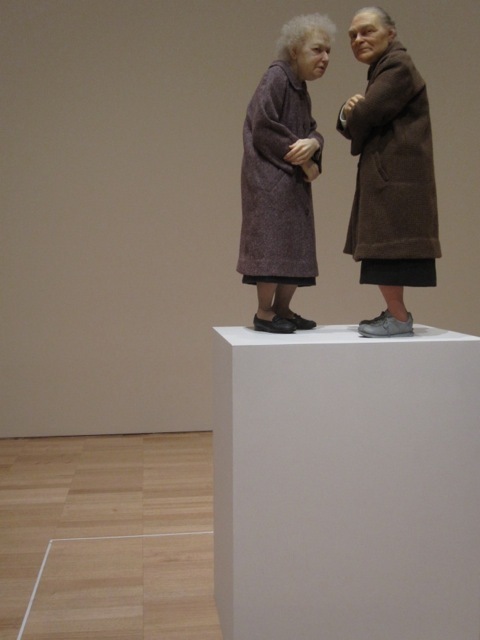 We saw this piece in Melbourne at the NGV and these two women are quite small, definitely 'undersized'. The use of scale made me think so many things about older women becoming invisible, how we value ageing...the thoughts went on and on and all because he made them so life-like; yet so much smaller than life. So we played around with my italic words until we found five words that my friend liked and we agreed I would make the piece using those words and whatever layout I felt worked best. With any commission it's getting this balance between which decisions get made by whom, in a way. She knew I was best placed to work out what to do with the words; I knew she was best placed to choose which words worked for her. So I wrote the words out again and measured them so I had a sense of how they would work in a layout; options being random, left-aligned, right-aligned or centred. 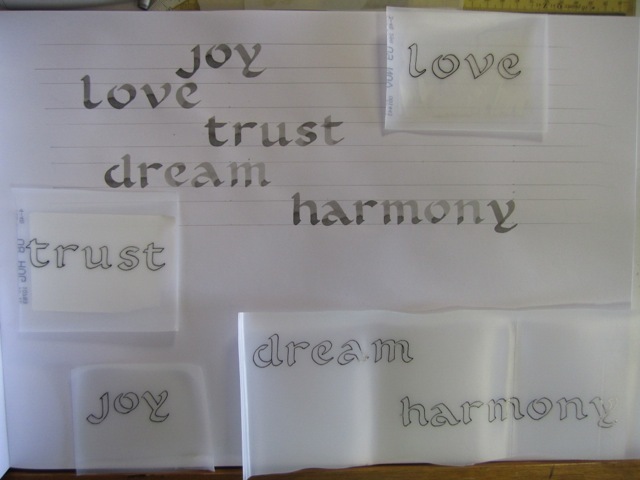 I then traced them onto the milk container, cut them and trimmed them and went on to do my usual embossing. 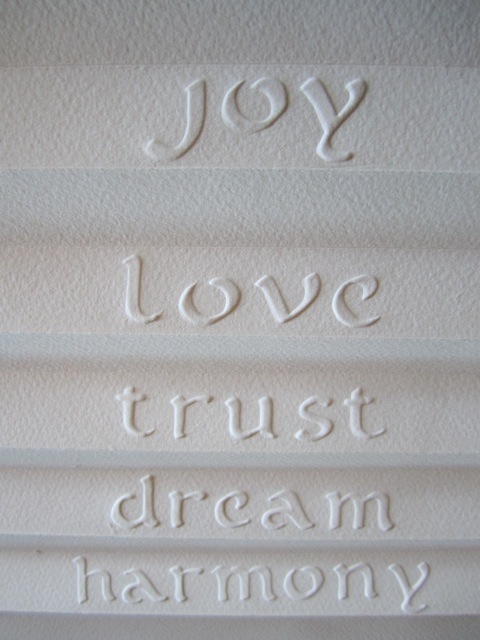 This one's a bit different though in that these words are all hand-embossed; meaning I sit there with my little tools and push the paper through the cut-out letter and try to make them look crisp and beautiful! This is how they look on the other side. This is a draft/mock up just to check, before I do the final one. Hopefully only once! 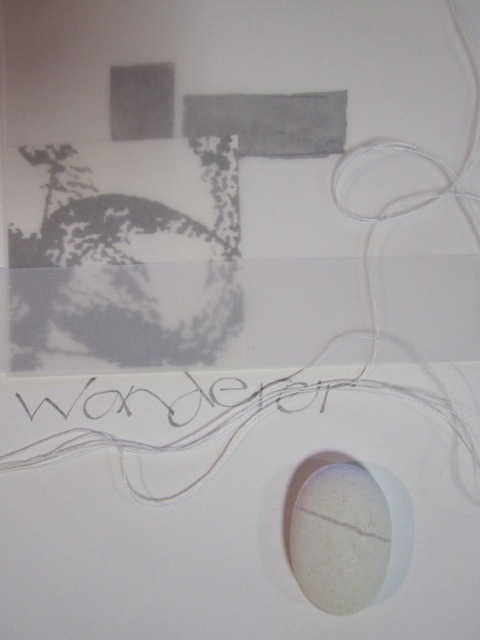 I am making good headway on my first edition of books on 'a subversive stitch' for BookArtObject. 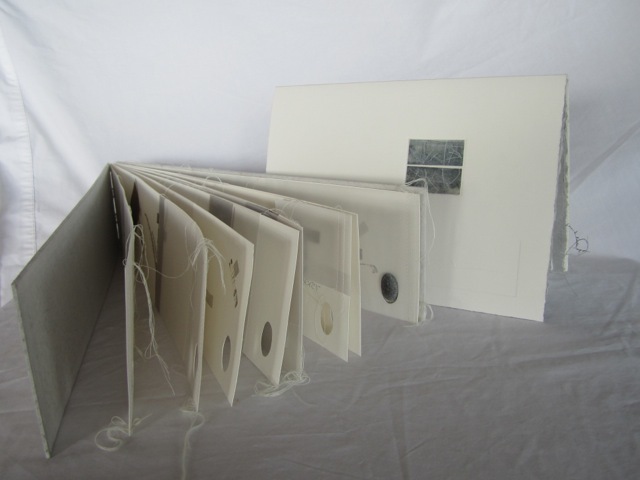 I am discovering with editions, that apart from planning a process that is repeatable and not totally time-consuming, its all about having enough materials to make around 18 books. As I also tend to have a fairly iterative approach to most of my art - I discover new ideas along the way; try something new; or add a certain something - I have found that I need to re-order some supplies (well, I had a great idea half-way thru)! I have managed to get ten books completed and am waiting on supplies for the rest. Hopefully they will arrive this week. In the interim I have been pondering my second book 'snow falling in daylight'. 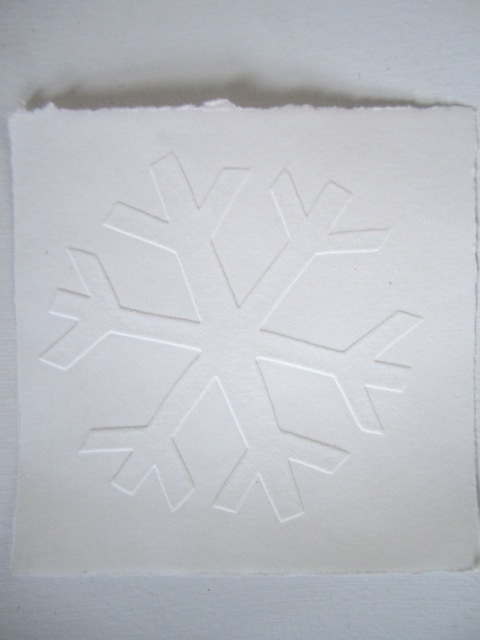 I have some lovely words to work with, and am playing around with snowflake imagery. 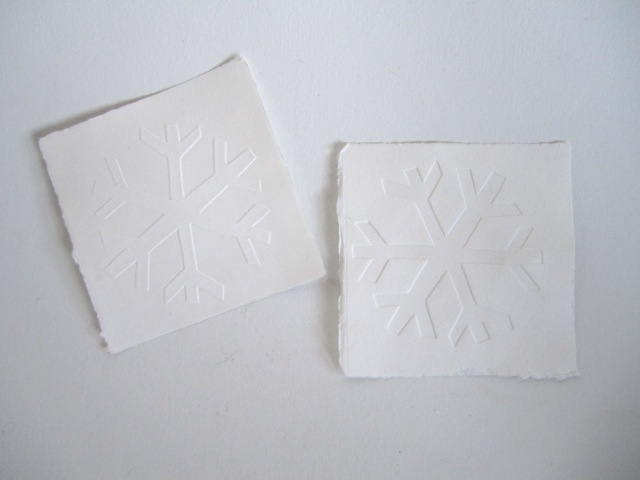 I had started with the thought that I would emboss the snowflakes, and so off I went and had a play and found it worked quite well. 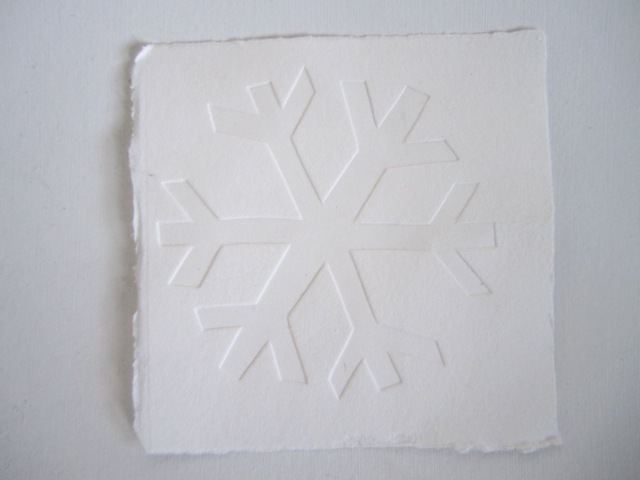 But then I saw the the snowflake piece I had cut out and thought to myself - I wonder if it would work if I de-bossed it (I am never totally sure that is an accurate descriptor, but I know what I mean). So I did. And that left me with the dilemma - so I emboss, de-boss or both? Any thoughts? I'm not so sure about the second part, but I really like the first part. I am one of those people who has far more chance of organising myself, remembering things, understanding things if I write them down. Not enter them into my computer via my keyboard, not tap them into my i-phone. But physically, with pen and paper, notebook or scrap, writing them down. Something in the forming of the letters, the words, seems to make stronger connections in my brain and embed things better. I can always remember a shopping list IF I've written it down - I can visualise the different words or the number of items and can then work it out (mostly) if I forget to take it with me. If I jot down notes about books, I understand the ideas and concepts better than if I just read them. Writing after reading makes things stick or makes them better understood for me. It clarifies, gels or crystallises so that afterwards, I think I have a better idea of what the author was trying to express or get at. Sometimes writing down a few words in a mind-map kind of way, shows me connections I might not have gotten otherwise. I agree that writing after reading, helps makes sure I've really read it. Whenever I am teaching I need to write my plan out in long-hand; I need to write out speeches by hand so that I feel the words before I need to speak them. Then they all get typed up; but the scribbles have helped enormously as I formulate my plans, my words. They make it real and possible somehow. I'm not as sure about the idea that as I write I am trying to read a certain text...but maybe my writing out of things in advance is about trying to 'read' my class before it's written; trying to 'read' the event? I think that bit's just too tricky for me tonight! This is a photo of the wee notebook I jot my thoughts about books I read in (see the embossed star? 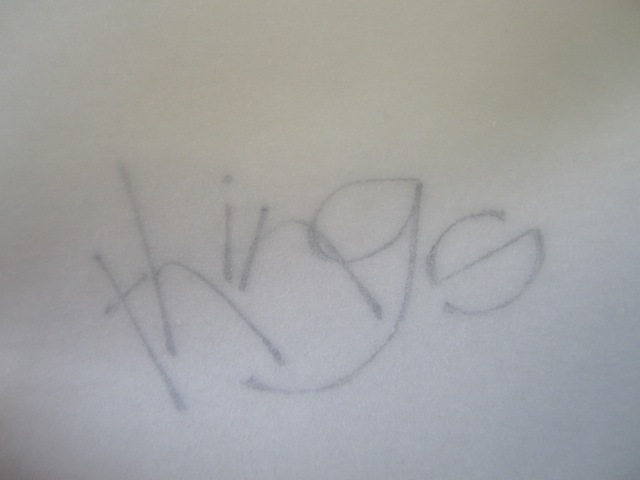 ), on top of my work-work notebook where I write down thoughts after reading articles, research, surreys etc. I took it with my i-phone and used an app that Carol from Barnacle Goose Paperworks introduced me to, the Paper Camera. I love what it can do. Sigh. Here I am again, blogging a rainbow on a Wednesday! We have been picking a fair bit of produce this week and it struck me as we did so that we had almost a rainbow of colour around the block in fruits and flowers. I struggled with indigo - we have nothing that deep dark blue at the moment, but the rest are all here right now! 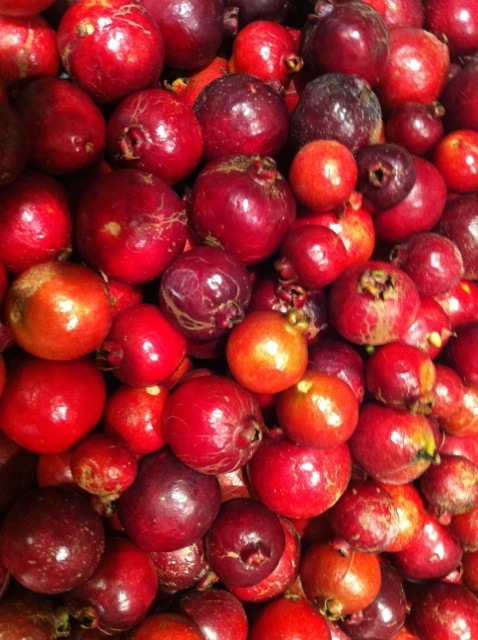 Red - cherry guavas that we made into jelly yesterday. Yum. 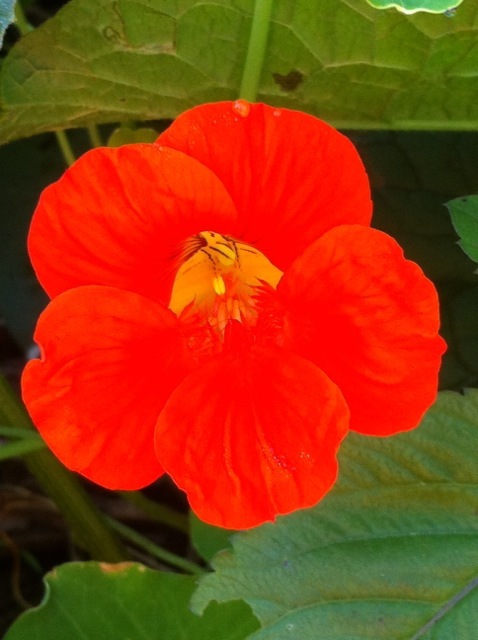 Orange - it was a toss up between the inside of beautiful pumpkin, or this stunning nasturtium flower - and this won. 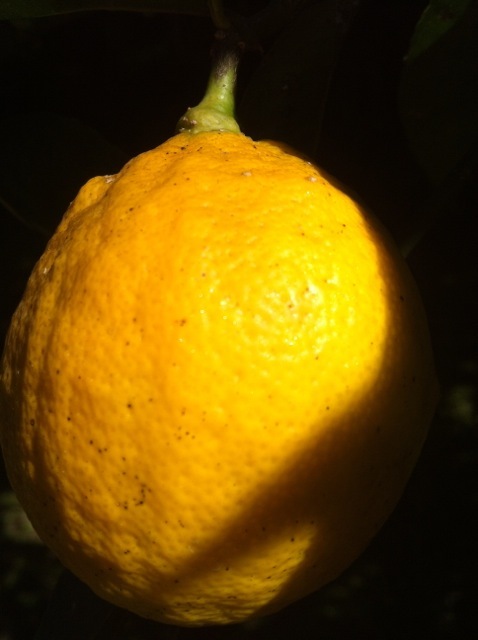 Yellow - the first lemon ripening on the tree, almost moody. 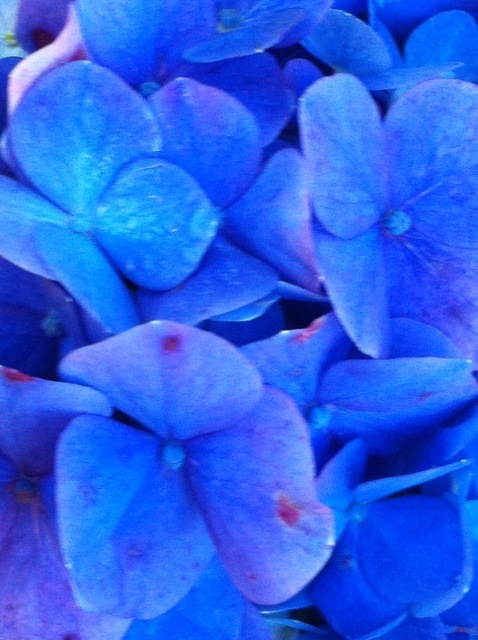 Blue - I thought the sky, but Barry thought this lingering hydrangea (which was swaying in the breeze hence a bit blurry). 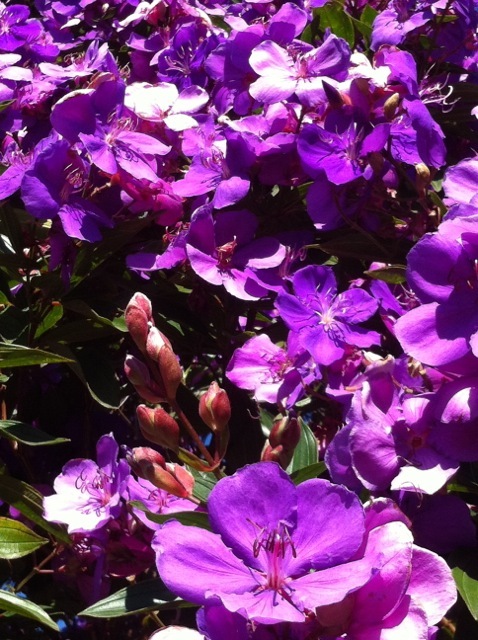 Purple - well the Tibouchina trees are a riot of colour all over town and here is ours.